Making Dreams Come True Since 1983! 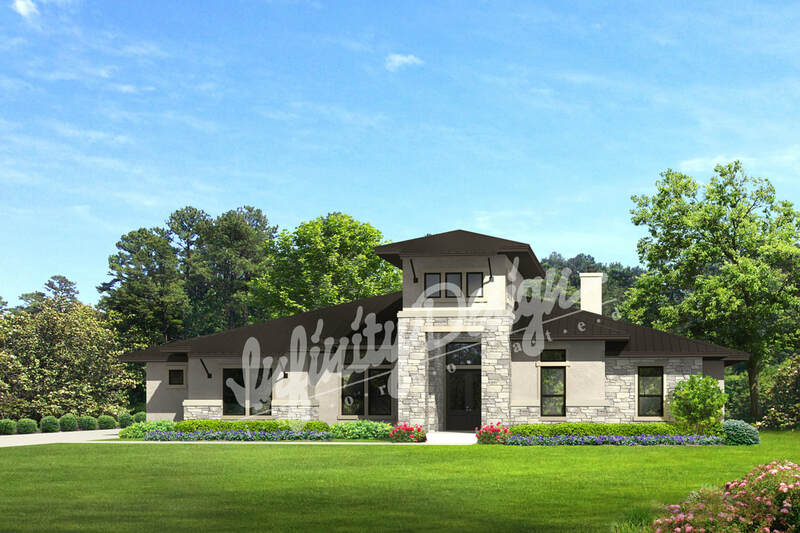 This attractive contemporary design features low roof pitches, and extended overhangs with metal brackets. The main body of the house is full of volume, provided by the cathedral ceiling, and plenty of natural light. 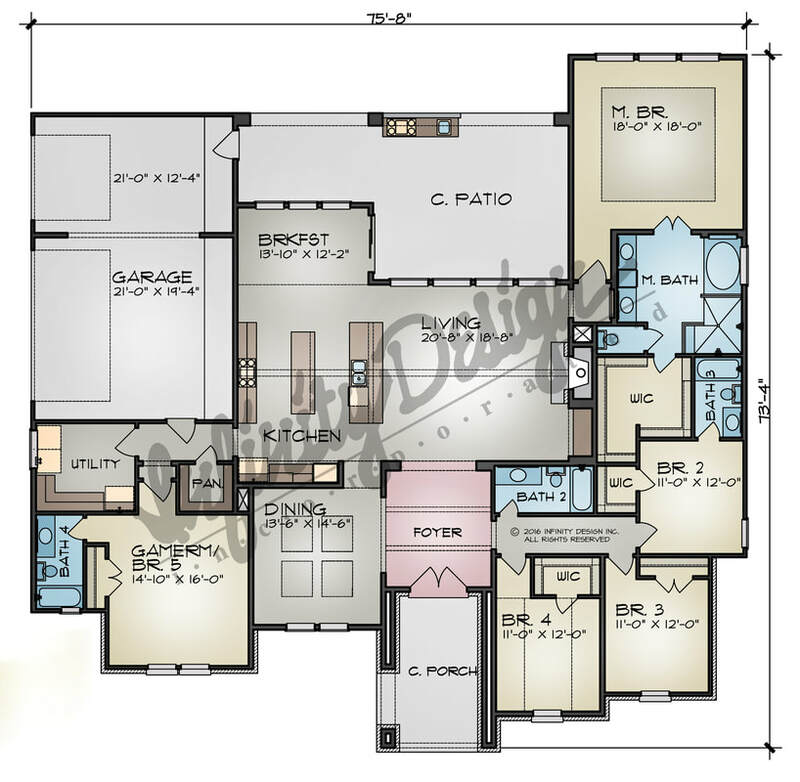 This plan is compact, easy to build, and has plenty of attributes for today's families like a game room, formal dining room for holidays and get-togethers, and large covered patio for outdoor entertaining. *Photos may not reflect actual floor plans. All plans and photographs depicted on this website are copyrighted. Prices are subject to change without notice.